photo-eye Gallery Time, Light, and Land: An Interview with David H. Gibson In honor of our current exhibition Rendezvous with Light Gallery Associate Lucas Shaffer interviews photographer David H. Gibson about his process and practice. 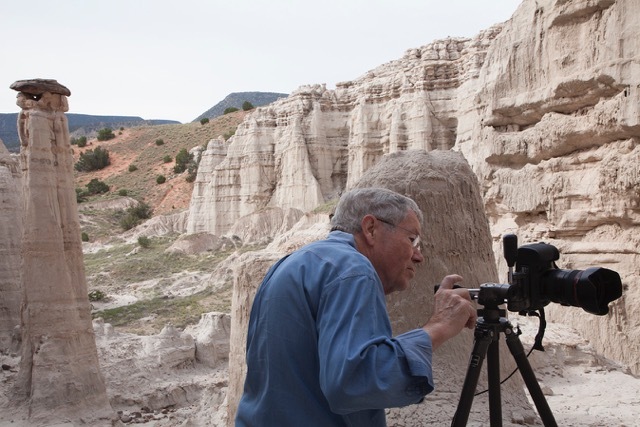 David H. Gibson completing a panorama on location at Plaza Blanca, Abiquiu, New Mexico. David H. Gibson once defined his photographic work as "a constant process of experiencing the unexpected …like listening to music with its structure of sound forming and unfolding during performance." I love this quote because I find David's imagery, perhaps more than any other artist at photo-eye Gallery – melodic. From the staccato Jazz improvisation of Lotus Stems and Cloud Reflections to the low orchestral hum of Sunrise, Aug 26th, Gibson's photographs are rhythmic, lyrical, and harmonious possessing music's facility to arouse emotion. In honor of Rendezvous with Light, Gibson's current exhibition at photo-eye Gallery, I had the privilege of interviewing the artist regarding his background, philosophy, and photographic practice. Lucas Shaffer: For clients with the privilege of viewing your work for the first time, how did you begin your career as a photographer, and what draws to you making images? Who would you list among your influences? David H. Gibson: My first introduction to photographic process occurred as a child. My father had set up a temporary darkroom in our kitchen and I saw a print develop and appear as if by magic. I do not remember being invited back but the memory is as clear as yesterday. He was an experienced printer working for a commercial photographer to help put himself through the University of Louisville. He made photographs around Louisville and experimented with carbro printing. He made portraits of us in b/w until color film became available and from that point on he made slides. I had a Brownie camera for fun and later a 35mm camera for general use. In 1965 my engagement with photography changed dramatically. We were given an exhibition catalog of The Family of Man. I came to the double page spread of Ansel Adam’s Mount Williamson, Sierra Nevada from Manzanar, California. In the foreground was a massive boulder field of incredible rock forms. The mountains in the background light streams through backlighted clouds was a dramatic theatrical event captured perfectly. I decided at that point to try to learn how to make an expressive print. 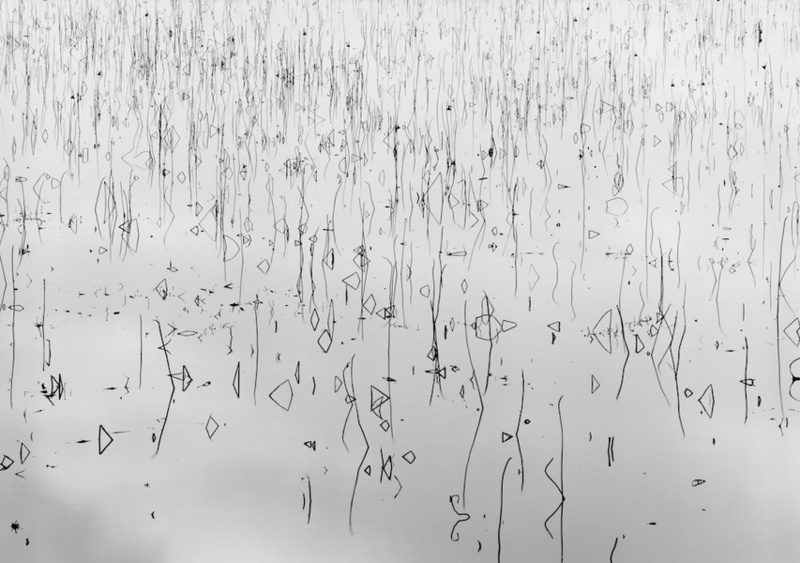 I purchased Ansel’s books, set up a dark room, and began the process. I finally began to make prints and decided to show the work to Bruce Barnbaum who was conducting a workshop in Dallas. I realized an artist critique would speed my process. This lead me to attend a workshop conducted by working photographers. My first formal workshop was with Bruce, and Jay Dusard and later with Michael Kenna, and John Sexton. LS: The landscape images currently on view in Rendezvous with Light span 30 years’ time, what draws you to go out and make your work in a natural environment. Why does much of your work revolve around the passage of time – both short sequences photographed over a few minutes and long stretches as you return to the same locations year-after-year for decades? DHG: I was initially drawn to Caddo Lake in East Texas. The mysterious moss-covered trees reflected in the water and sometimes foggy mornings were a great attraction. 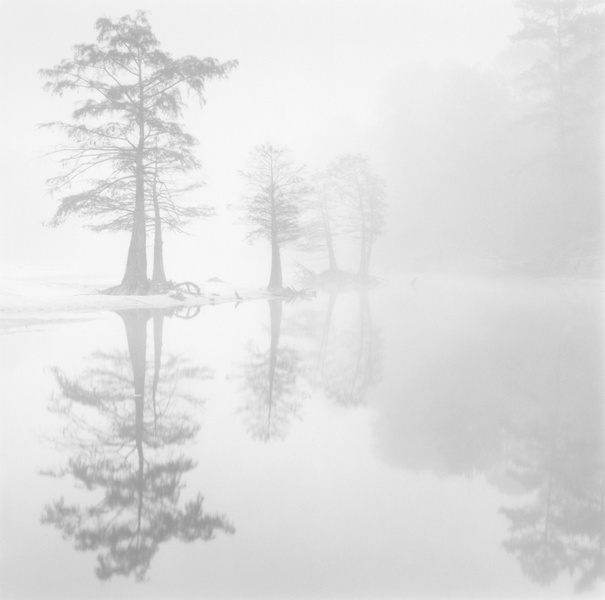 The earliest photograph in the show is from Caddo. Water is often a presence in my photographs. It is dynamic and reflections are an important aspect of my work in the land. David H. Gibson – Sunrise Sequence August 27 8:59AM Eagle Nest Lake NM, 2016, Archival Pigment Ink, 10x40"
I have returned often to Cypress Creek, Wimberley, Texas, the Texas Gulf Coast, Eagle Nest Lake, New Mexico, the Columbia River Gorge, Oregon, and the Canyonlands in South East Utah. These places combined with annual trips to Japan are designed to experience the unexpected. My garden at home allows me surprise and wonder often as I walk out the back door. LS: Your signature piece in Rendezvous with Light is the gorgeous hand-made Sunrise Sequence Scroll. 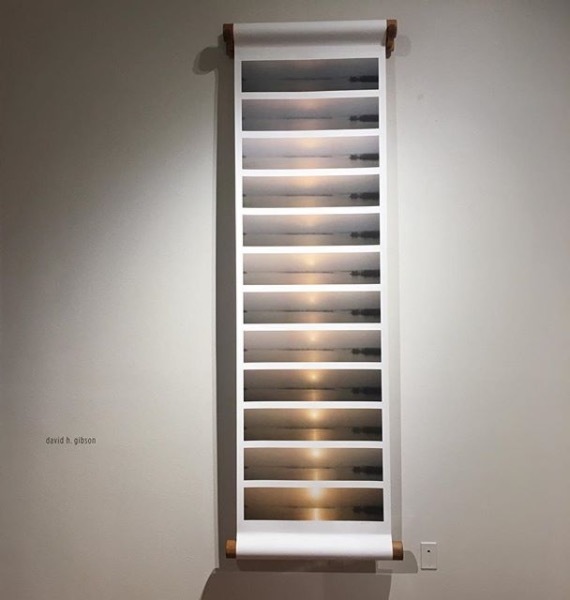 Can you share some details about when and where the images were made, the idea behind making a scroll, and the process of producing the object itself? DHG: Sunrise Sequence Texas Gulf Coast was initially presented at the 2017 Dallas Art Fair in an accordion form housed in an acrylic box. I mentioned that to Vicki [Bohannon, photo-eye Co-Owner, and Gallery Preparator] and she suggested a scroll for the entry to the exhibit. I thought that it was a wonderful idea and proceeded to design the piece in the show. Harvey Phillips, a craftsman with whom I have worked for many years, crafted the piece. Harvey also made the box containing the scrolls used in A Tourist's Walk in Katsura Garden. 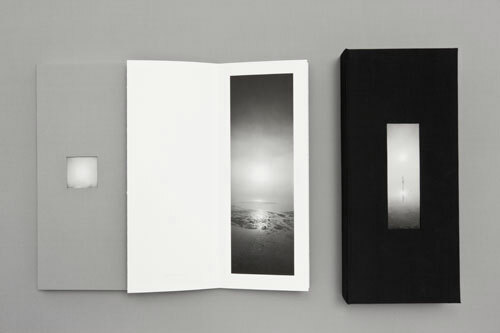 LS: Last week we featured your exquisite limited-edition artist books on the photo-eye blog, many of which feature your signature sequences, what is it that you love about photo books and building artist books in your studio? DHG: I have always loved the tactile quality of books in all shapes and forms. The experience of holding a fine book and viewing photographs is a joy for me. As I moved into the digital world it was a natural progression to print books on the 44” printer. The accordion form lent itself well for presenting my work. Books printed on press are for a mass audience. Options are extensive with paper type, font options, unique bindings opportunities limited only by the imagination of the designer. My books are all original pigment prints and generally sequences of experiences over time. The books are designed to allow the viewer to be engaged in a personal way. LS: As I understand it, you are also an established photobook collector; do you have any favorite volumes or books that are particularly influential to your practice. DHG: Rixon and Vicki began photo-eye in Austin and somehow I got on their mailing list and I have purchased unique and special books from photo-eye ever since. At some point, I discovered Nazraeli Press and my collection includes Chris Pichler’s publications from the very beginning of NZ Press. LS: You are a prolific image-maker, what’s next for you? DHG: My next projects are a continuation of work with current contact sheets and travels. In 2016 Coinciding with a major exhibition of David H. Gibson's photographs at Valley House Gallery and Sculpture Garden in Dallas, Texas, Nazraeli Press' gorgeous new publication comprises three separate clothbound volumes spanning some thirty years of work. 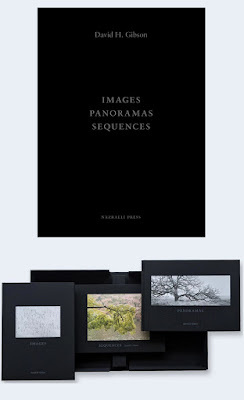 Limited to 500 hand-numbered copies and presented in a custom-made clamshell box, Images, Panoramas, Sequences is a long-overdue survey of Gibson's highly-acclaimed photographic output. Prices listed are subject to change and were accurate at the time this post was published.